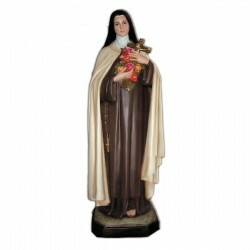 Statue of Saint Teresa of 150 cm. 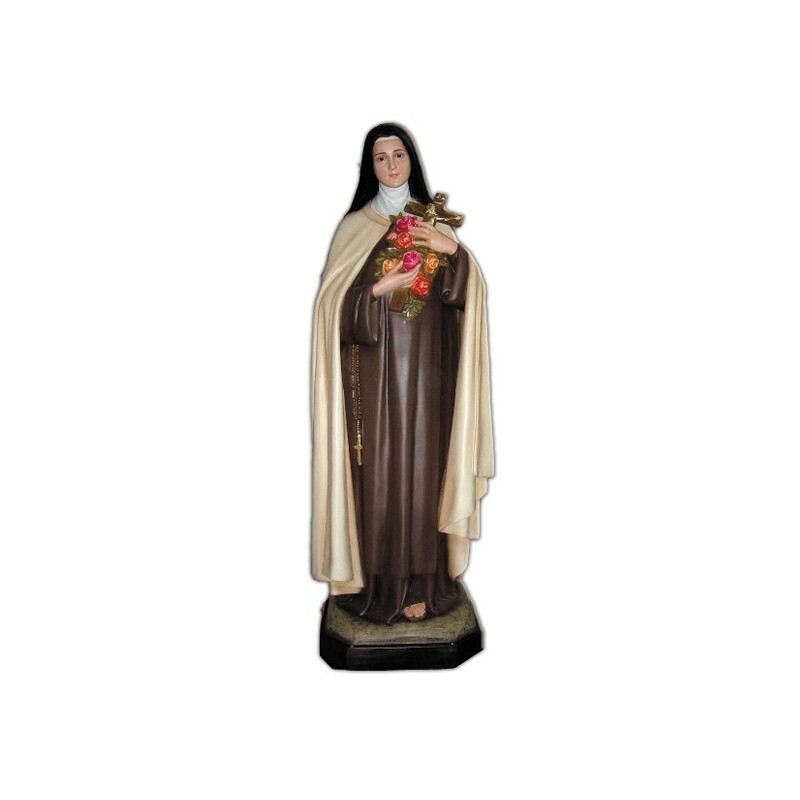 Statue of Saint Teresa, 150 cm of fiberglass, handmade in Italy. 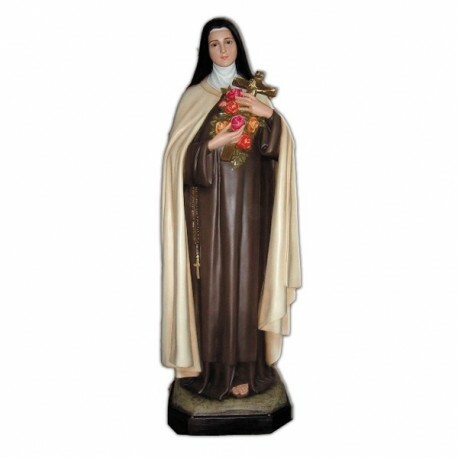 Saint Terea was a virgin, a carmelitan and a doctor of the Church. She is commemorated on the 15th of October. Teresa was born in Avila. When she was 18 years old she entered the carmelitan convent in her town. In 1562 she founded her first convent and up to her death she was constantly in movement. God gave her extraodinary mystic experiences that she wrote in real books, which are included in the classics of the spanish literature. Teresa is considered the saint of the common sense, of the sane good mood, of the prodigal ideas and her influence on the spiritual life of the christians is immeasurable. On the 27th of September 1970 She was proclaimed Doctor of the Church by Pope Paul VI. She died in Alba de Tormes and she was canonized in 1622. In the iconography she is illustrated with the carmelitan clothing, with a bundle of roses and a crucifix.